With over 275 "Five star" reviews. Elmo Jenkins is celebrating his fifth anniversary as a staff member of First Church. Much has changed at the historic downtown church, with new Senior Pastor Billy Pike Jameson and his humorless wingman Lord Hatchet keeping Elmo more than busy. In the midst of helping the church navigate the precarious waters of starting a contemporary worship service, Elmo is asked to lead a mission trip to Papua New Guinea. As always, Elmo keeps his sense of humor and his faith in God's higher purpose. 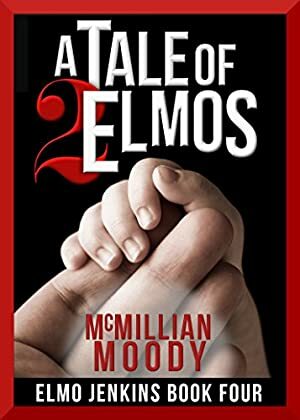 On the home front, Elmo's feisty mother-in-law is relentlessly pressuring him to produce a grandchild. Elmo's friend Erlene has moved into an Assisted Living Facility where she's stirring up some serious trouble. To make matters worse, someone is systematically burglarizing the homes of the First Church membership. Could there be an inside connection? Thurm, Harry, and Father Ted are still on board along with new friends Pearly Gates, The Radio Guy, and Stumpy the Squirrel. Log In to track McMillian Moody on eReaderIQ. to be notified each time the price drops on any book by McMillian Moody. to stop tracking McMillian Moody. We started tracking this book on July 22, 2014. The price of this book has changed 107 times in the past 1,737 days. The highest price to date was $3.99 last reached on March 17, 2019. This book has been $3.99 41 times since we started tracking it.